Trevor graduated from High Point University in 2017 with a Bachelor of Arts in graphic design and marketing. He became interested in design during high school and continued to pursue it in college, but, wanting to incorporate a business aspect, he added marketing. 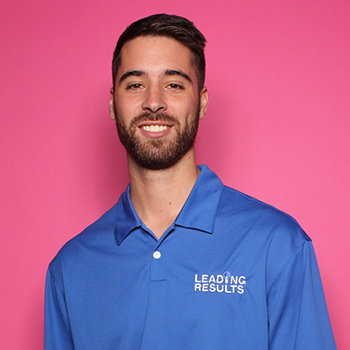 Before joining Leading Results full-time, he worked there as an intern during his senior year of college. He’s eager to continue learning about the design and marketing worlds. When he’s not at work, Trevor maintains an active lifestyle by going to the gym at least five times a week. He’s also a sports junkie, enjoying both playing and watching. (Since he grew up playing multiple sports, it seemed only natural to watch them as well.) Sports aren’t just for fun, though – they taught him the important attributes of teamwork, leadership, and dealing with adversity. Trevor plans to use his design experience to conquer the marketing world and bring life and aesthetics to the content we publish.